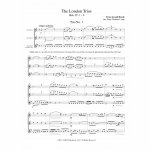 Originally composed for two flutes and cello, the London Trios were a gift from Haydn to the Baron of Aston in Preston, outside of London in 1794. These trios were a sort of hostess present in appreciation of his visit with the Baron. The uncommon instrumentation of flutes and cello during this time period was very well received, as the flute was growing very popular in England and considered quite fashionable. Unfortunately, the popularity of the trios quickly faded and they weren’t performed much again until the early 1900’s. 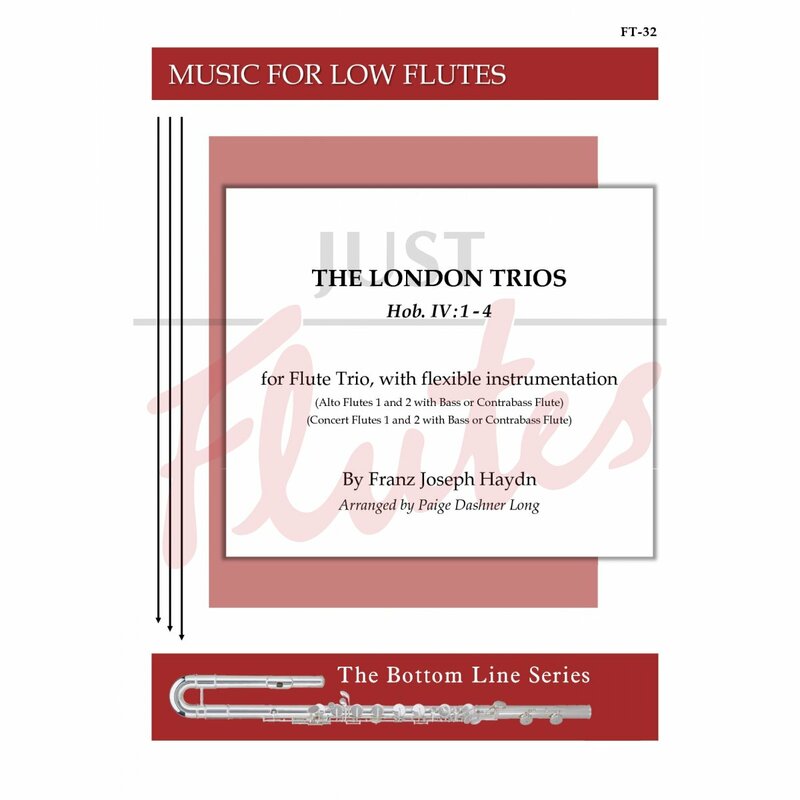 The flexible instrumentation in this arrangement gives flutists the opportunity for several performance possibilities, including a more tradition instrumentation or a unique low flutes instrumentation: Traditional Instrumentation – Concert Flute 1, Concert Flute 2, Bass Flute or Contrabass Flute; Low Flutes Instrumentation – Alto Flute 1, Alto Flute 2, Bass Flute or Contrabass Flute. 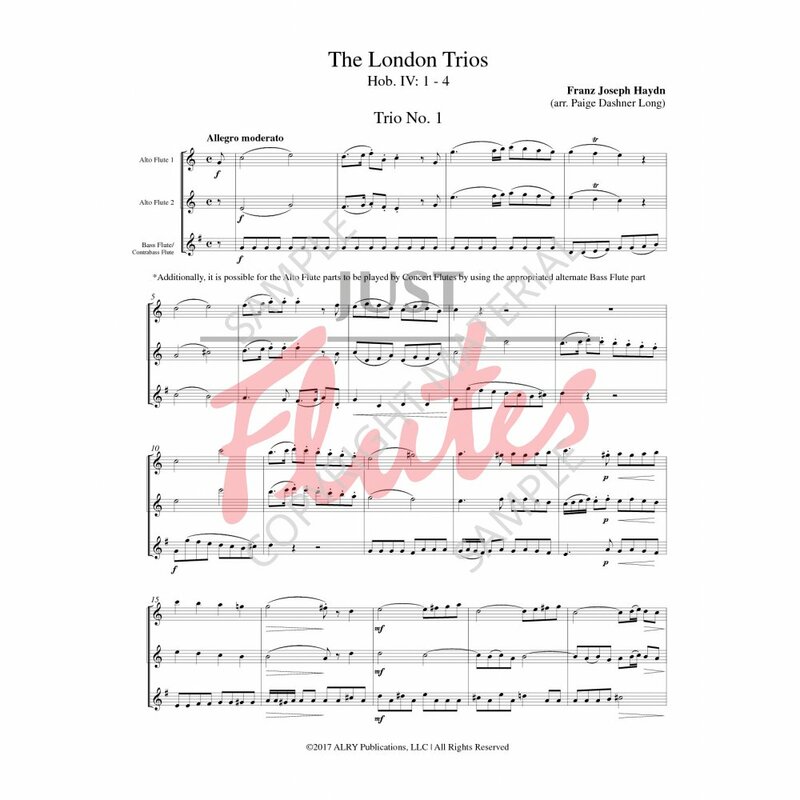 You will find the bass flute/contrabass flute part in two different keys, making it possible to perform with either two alto flutes or two concert flutes.